Full of 1950s charm, a dreamy lavender bracelet in a captivating design. 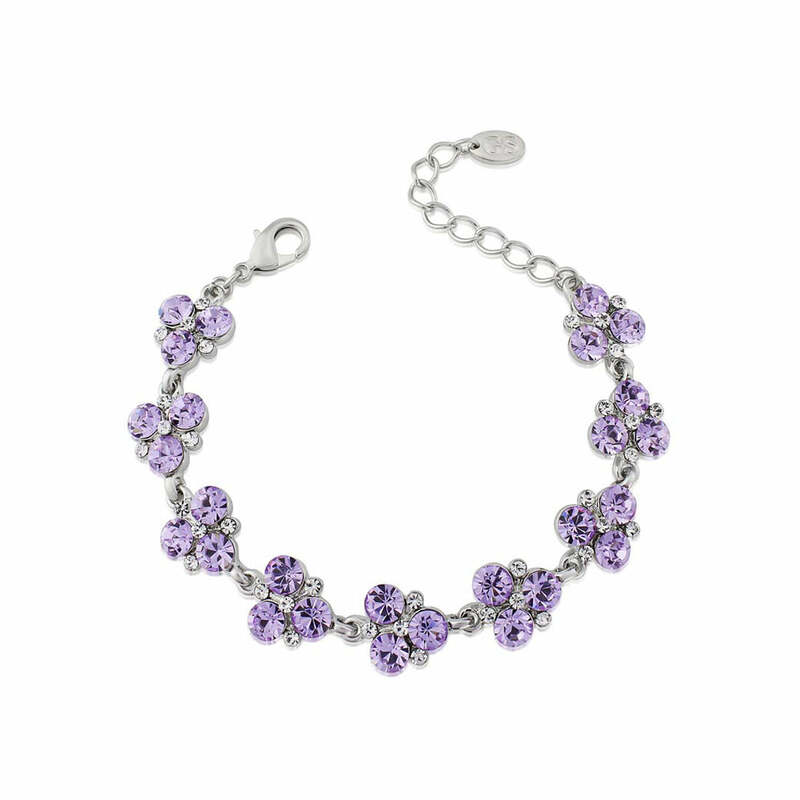 The exquisite hue of Allure of Lavender Bracelet is captivating and, quite simply, mesmerising. Featuring dainty silver tone links of contrasting lavender and clear Austrian crystals this beautiful piece will sparkle with vintage elegance. Incorporating 1950s charm with the beauty of summer shades, this stunning bracelet will dress up a pretty floral dress or add a touch of feminine glitz to a more formal evening gown. Brides who love vintage jewellery will adore Allure of Lavender with its coordinating collection of accessories which will highlight a lavender or lilac wedding theme or add a pop of contrasting colour to pink or mint green. Allure of Lavender is also the picture-perfect accessory for your bridesmaids which will shine and glisten against a hand tied wedding posy on your special day. Our gorgeous bridesmaid's collection will also make treasured thank you gifts which are sure to be worn time and time again.